There is a lot of talk about models these days and how brands choose who is going to be the face of their next campaign. For my last post as guest editor of theFashionSpot, I thought it would be good to have a quick chat with one of the most photographed models in the industry today — and one of my favorites. 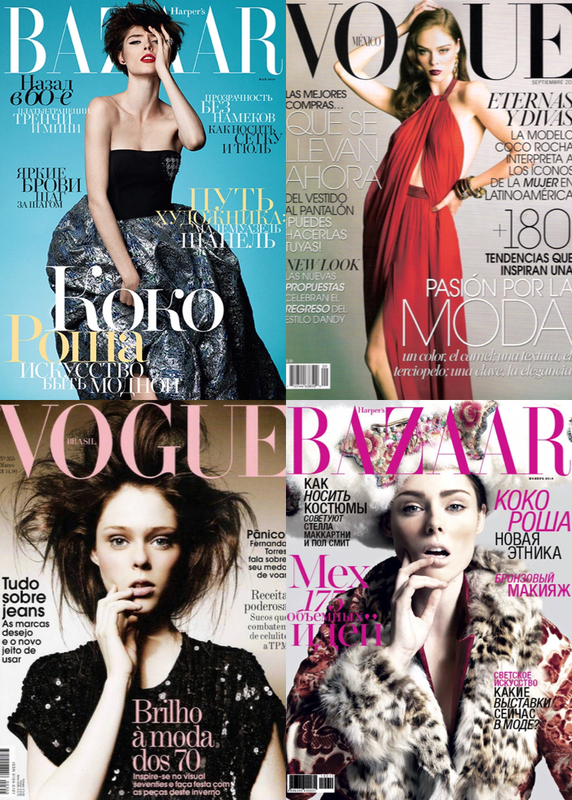 Her face has graced hundreds of magazine covers all over the world and has been placed in some of the most beautiful editorial photographs to date! She is a new mom, has recently launched a collection of bags with Botkier and is still shooting beautiful photos with some of the most talented photographers. 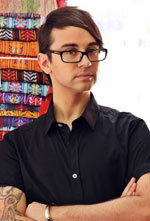 Christian Siriano: What is one of your favorite photographs from your career? Who shot it? 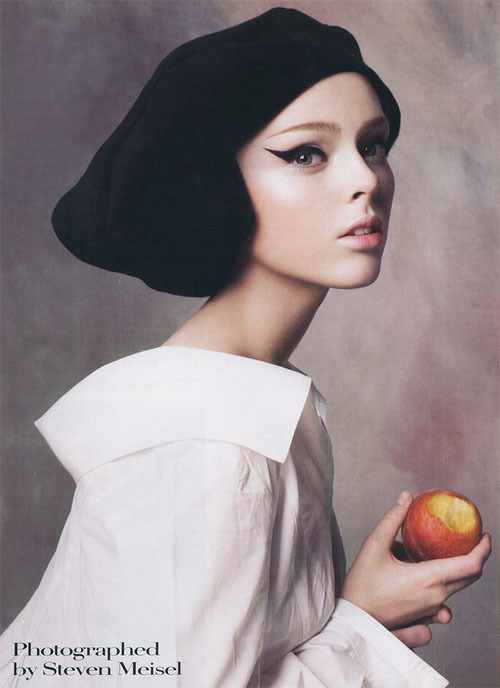 Coco Rocha: I did this beauty shot with Steven Meisel and Pat McGrath when I was about 16 that was very reminiscent of Johannes Vermeer’s “Girl with a Pearl Earring.” It has a real timeless quality to it and has always been one of my favorites. When I got married, Steven gifted a beautiful signed copy of it to me and it sits proudly in my home. CS: When you are traveling, what is your most used app on your phone? CR: Google Maps, for sure. I feel like I know Paris, London and Milan pretty well, but there are times that it really comes in handy. Second to that, I’m all about Uber everywhere I go. It’s really a lifesaver. CS: What is the most interesting place you have traveled? Would you go again? CR: Turkey was really, really beautiful and otherworldly. Some of the topography and landscapes there literally make you feel like you’re on another planet. James and I went with another couple we like to travel with a year ago and had an amazing time. Unfortunately, by the end of our trip we started hearing about this group called ISIS in neighboring Syria and we left just as some were jumping the border. I’d love to go again, hopefully once the turmoil in that part of the world simmers down. CS: What do you think are the best items to splurge on? CR: Tech products! I always tell James to buy me a new gadget before he buys me a handbag. Which is funny considering the line of work we are in. But I do love my iPads, smartphones and smart home products. CS: Any style icons that you look for influence from? CR: Elizabeth Taylor will always be one of my favorites. A few years ago I got to go to an auction at Christie’s where they were selling off a lot of her estate. I got to see firsthand her clothing collection, all these amazing pieces she had archived over the years. Back in her day, stars didn’t have stylists telling them what to buy or wear — they just saw something, liked it, bought it and wore it. So when I saw her wardrobe, I was really looking at her perspective on fashion for the last 50 years. It was so interesting and fabulous. I ended up buying this crazy neon Givenchy jumpsuit that had a huge red wine stain on it. It was Liz Taylor’s wine stain, though, so I didn’t dare clean it off!! CS: Would you wear shoes that were different colors on each foot? CR: I’m pretty sure I’ve done that accidentally before. But knowingly? Probably not. I’m not that quirky. Wait, is this a trend you’re starting Christian? If so, I’m in. CS: Are you a leopard or a zebra girl? CR: Both at the same time! Why not? I love a good print. CS: What do you think is the best part about being a model in the industry today? CR: That’s a tough question. I feel like now is the hardest era to start your career as a model. There are definitely fewer models sharing the top tier of work today than there were 10 years ago. When I began modeling, you could be a little nobody from the middle of nowhere and be picked from obscurity to be the new face of a major fashion house. In 2016, you’re probably going to need a minimum of a million social media followers to get on anyone’s radar. That’s not an exaggeration. I would never have made it as a model if I was born 10 years later. CS: What is your favorite bag from your new Botkier collection? CR: I’m obsessed with this bag I made called London Sling! As a mom, I’m definitely carrying twice as much as I ever did before and this bag holds it all. Too often I feel like you have to trade form for function when it comes to big bags, but this one has this really cool angular, geometric, fashion-forward feel while holding as much stuff as I need for a full day. Get Coco’s latest book, Study of Pose, now available on Amazon.